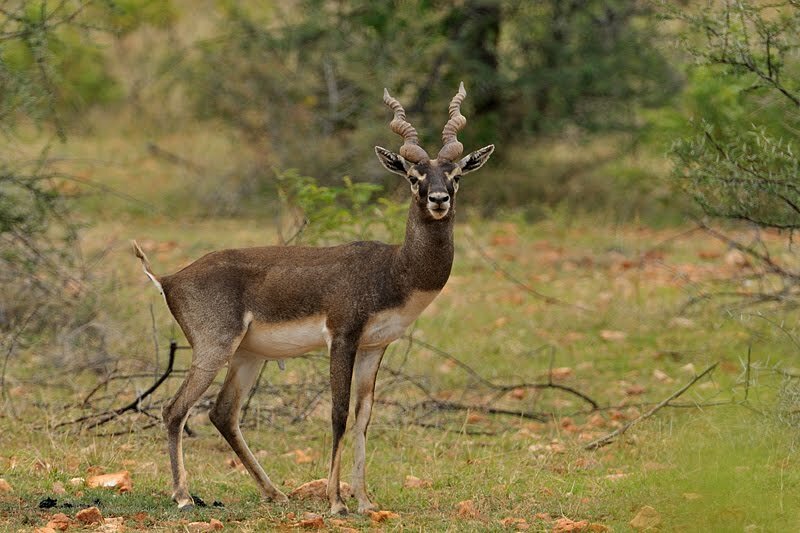 The Blackbuck is one of the four species of Antelopes found in India. These graceful animals were seen in large numbers at the beginning of the century. However, due to extensive poaching and habitat loss, it is a pity that their conservation status is “Near Threatened” today. 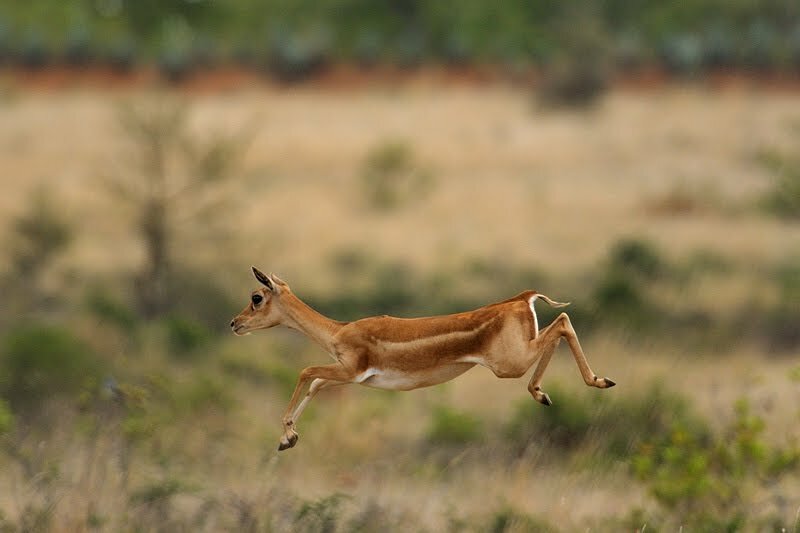 It is not uncommon to see a group of stray dogs hunting fawns and younger Blackbucks. 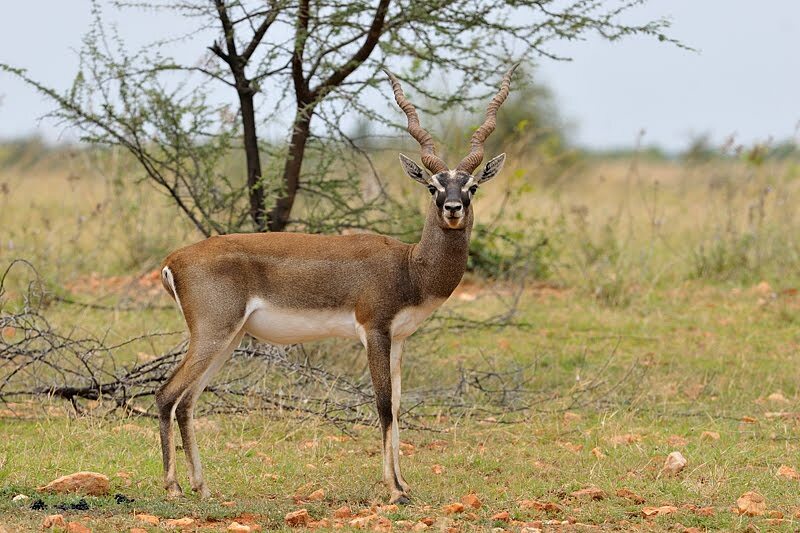 Today you can see the Blackbuck in a few protected wildlife sanctuaries like Point Calimere (Tamil Nadu), Velavadar (Gujarat), Maidenahalli (Karnataka), Chilka (Orissa) and a few other locations in India. 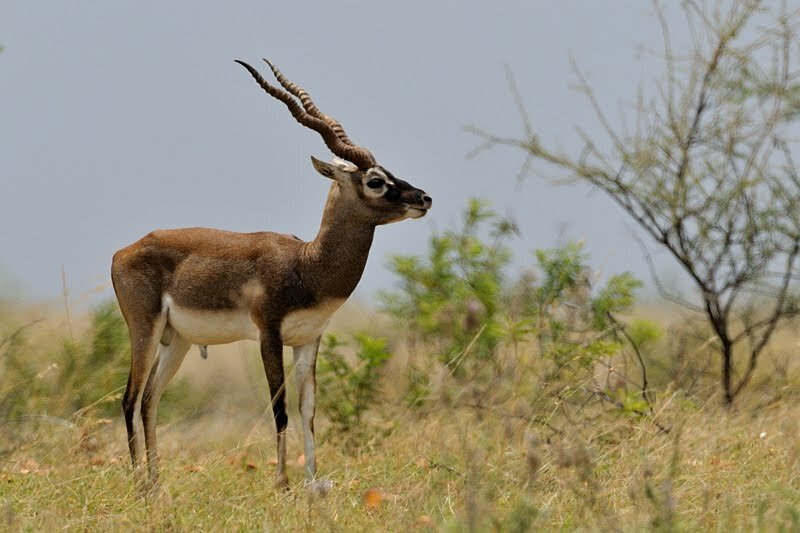 Unlike the Deer, which can survive in dense forest and bush jungles, the Blackbuck requires open grasslands with intermittent tall grass to survive. The ability to run at speeds in excess of 70 kmph make them the fastest surviving species in the Indian sub continent. Their gracefulness at these speeds, especially of the female Blackbuck, when it is at the height of its long leap, is an amazing wildlife experience to photograph.We got our opportunity to observe and photograph the Blackbuck at the Maidenahalli Blackbuck reserve in Karnataka and here are some images of this shy species from that trip. An earlier post on these beautiful species has some more frame filling compositions. all the photos are wonderful, I love the ones you caught of them leaping! Wow, wonderful shots. What a grand antelope the BlackBuck is! 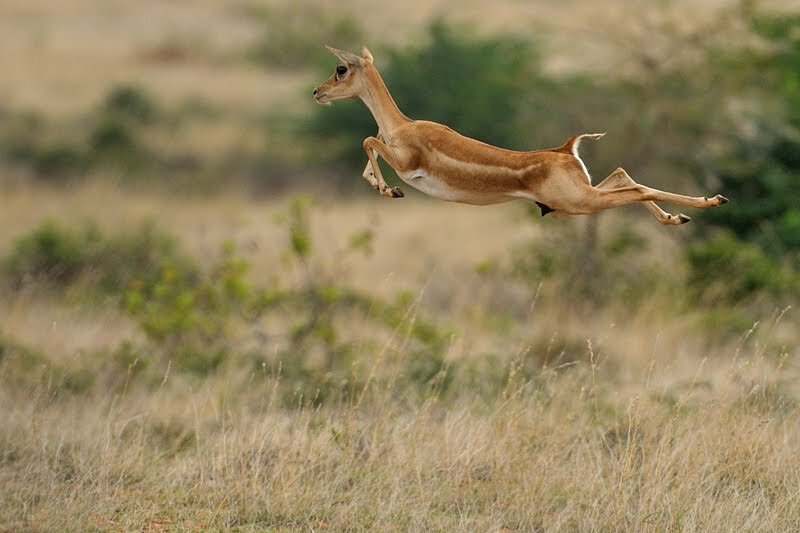 Great images of blackbucks sprinting. Thanks for sharing. Just in moment – superb. I was long away from here and you has made soo many fantastic pictures in this time. It is always a pleasure to view – I hope now regularly. whoa! love that first shot!! thanks for sharing your adventures. Always thanks for your sharing, I can see many different animals I never seen before! Impressive and excellent shots! Love their clarity and the natural colors. Such an elegant species and the speed…whow. Awesome photographs! The jumping photos are especially impressive. Cheers! Superb pics. You snaps actually do justice to the majestic animal. Nature as well as camera at its best. Thanks for sharing.